Fourth-instar larva: dark grey, with black tubercles producing fine hairs; bright orange lateral patches on first thoracic segment; middle and outer tubercles on abdominal segments one and four bright orange; lateral tubercle on segments six and seven also orange. Pupa: unknown. 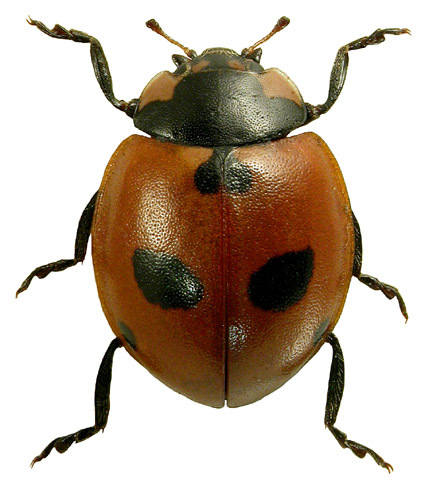 Habitats: 5-spot ladybirds in Britain are found only on unstable river shingle. In continental Europe they occur in more varied habitats. 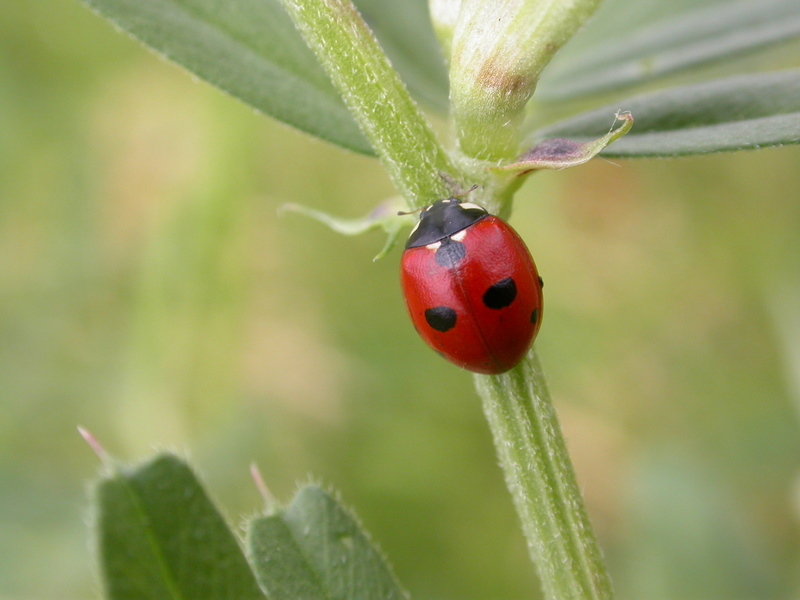 Host plants: 5-spot ladybirds can be observed scurrying between low-lying herbaceous plants in amongst river shingle. Specifically, they have been reported on nettle, thistles, bitter-cress and angelica. There are a few records of this species on broom. 5-spot ladybirds can also be found in flood debris. Overwintering sites: 5-spot ladybirds overwinter on gorse, under shingle stones and in leaf litter. Darby, M. (2005). 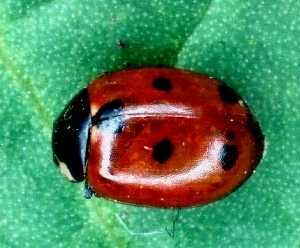 A previously overlooked record of the five spot ladybird Coccinella quinquepunctata (Linnaeus) in Wiltshire. The Coleopterist 14(3): 128.